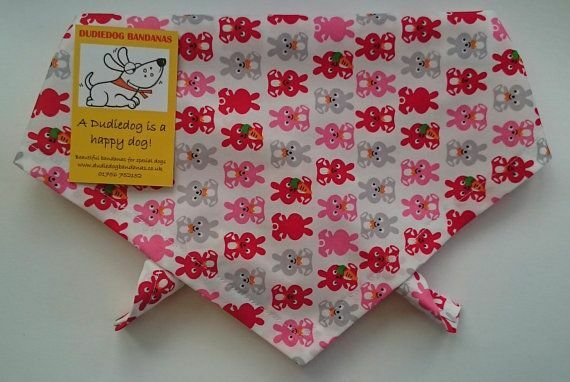 A super-cute Pink Bunny Dog bandana! The background is white, decorated with little bunnies, in pink, red and light grey, some of them holding carrots. 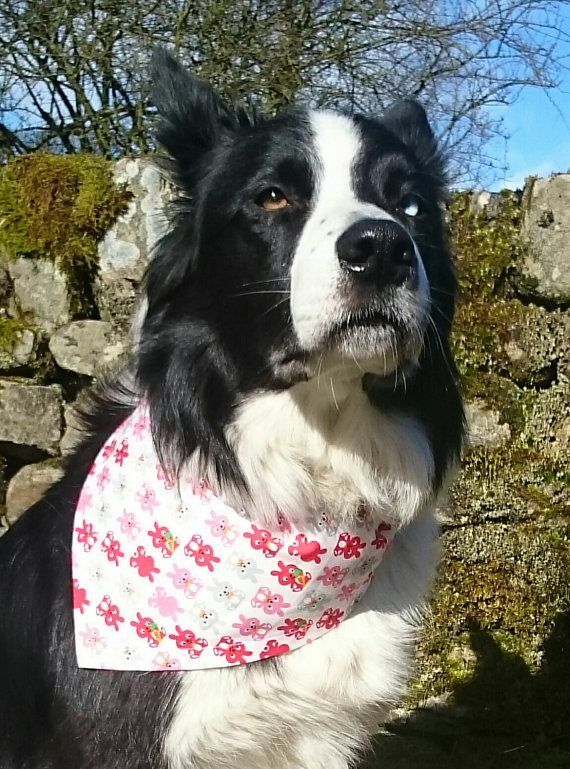 This is a perfect bandana for a dog that just loves rabbits!! Buy it for your bunny obsessed friends!